It's 5 p.m. on a chilly night in December. You're in the office bathroom primping for your friend's annual holiday party, and you haven't eaten a thing, hoping to save your appetite for the endless morsels these festive gatherings aptly provide. After a few glasses of Champagne and a bit of mingling, you make a beeline for the spread. You scan the appetizer table--the various dips, assorted olives and nuts--and finally arrive at the token cheese board: dependable, creamy, lac-tastic. You shove a few cubes of cheddar and Gouda into your face, wash it down with a cracker or two, dust the crumbs off your party outfit and are momentarily satisfied. But who says this is how things should be? How festive can a water cracker really get? This year, instead of weighing your guests down with the heavy, bland cheese assortments of yore, try a fresher option. Something gloriously crunchy, spicy, sweet and sour: Pickle boards are here to save your holiday, and they're the only way you should be kicking off any seasonal fete. We're not just talking a few big dills and a jar of half-sours here. Think a cornucopia of complex flavors, from sweet red pickled beets to crunchy, spiced carrots to a few smears of mustard and a pile of salty, fatty serrano ham, all laid out in perfect order, waiting to be devoured by eager guests. This plethora of pickles is within reach, which is why we've asked an expert to help get us there. 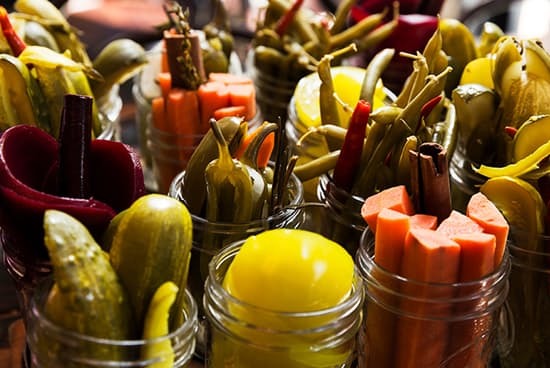 Jacob Hadjigeorgis, pickle connoisseur and owner of Jacob's Pickles, a pickle-focused comfort food restaurant in Manhattan, preaches the importance of these briny snacks. "I found when opening the restaurant that guests, consumers and the public in general have a tremendous passion for pickles," he says. He describes the pickle's vital place at the holiday table, explaining, "Pickles are big, bright and bold. They wake up and cleanse the palate, and they can even act as a kind of digestif to settle the stomach or round out the meal." Here are a few tips from Hadjigeorgis for taking your holiday assortment to the next level. When it comes to a bomb pickle board, variety is the spice of life. "I think it's important to show a range," Hadjigeorgis says. "I recommend a traditional, clean, balanced, brined salt pickle to start, but then the addition of something sweet, sour, salty and spicy." Think spice from chile, warm heat from cinnamon or the complexity of coriander, garlic and dill being present in the brine. This way, "you find something for every palate and [a pickle] to complement various dishes throughout the meal." News flash: Cucumbers aren't the only thing you should be pickling this holiday season. "The cucumber is the true foundational pickle, but I think there's a misconception that pickles are only cucumbers," Hadjigeorgis says. 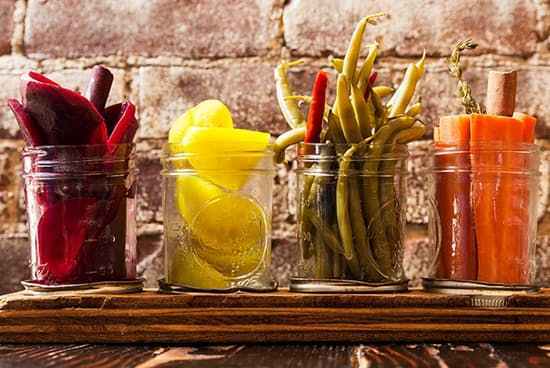 "We pickle a variety of vegetables [at Jacob's Pickles]. Right now, we offer cucumbers, tomatoes, carrots, beets, string beans, jalapeños and okra." He continues, "I think you have an opportunity to really play and experiment with flavor profiles when it comes to different vegetables." For example, because tomatoes and beets are naturally sweet, a brine with a higher level of sugar will complement that natural sweetness in the vegetables. Make no mistake: The pickles should be the star of your board. Still, a really spectacular holiday spread may need a bit more. So what else do you include in your pickled platter? "The beauty of pickles is that they pair well with a lot of things," he says. He's found that fattier meats and creamy, mild cheeses (yes, cheese makes an appearance) work particularly well. "There needs to be a balance," he says. "You have to be careful in pairing the salt content. In my opinion, you shouldn't have a cured meat that's saltier than the pickle itself." Same goes for the cheese. Low salt and high fat are your friends. "A triple crème is great with pickles, a sharp cheddar cheese is excellent, and something that would have a little funk to it to offer another layer," he says. "I'd really enjoy a Point Reyes [Original] Blue, for example, which has a creamier, milder funk profile." And to wash it all down? For Hadjigeorgis, you can't beat craft beer. 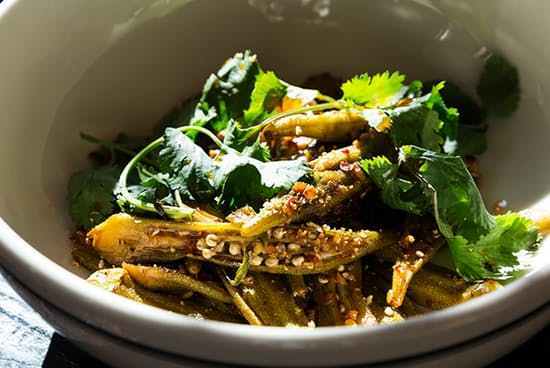 "Beer and pickles has kind of been our guiding light here," he says. "For starters, try Allagash White. It has coriander and citrus notes with enough of a backbone to stand against a potent pickle. Maine MO gives you a bitter hop contrast while allowing the salt and vinegar to come through. And for a unique experience, try The Bruery's Sour in the Rye to pair your pickles with tart cherry notes." When it comes to finding the perfect pickles for your holiday board, homemade is often the best (and most fun) way to get exactly what you want. "It's a fun process," Hadjigeorgis says. "There's a trial and error that comes with it, and you can totally come up with your own profile: higher salt, higher acid, a different balance." All you need is great vinegar (like apple cider, white or rice), water, sugar and salt. "If you have those four components, you can easily come up with a brine. Of course, it won't have those complex layers, but that's where the different spices come in." Hadjigeorgis says it's entirely possible to turn around pickles in a few days, but they can also be made weeks in advance. "This means you can prepare [the pickles] way ahead of time and just pull them out when you're ready to assemble your board." If pickling vegetables yourself isn't your style, Hadjigeorgis suggests checking out your local farmers' market to find unique, complex and tasty pickle varieties. That's one board we won't be getting, ahem, bored of anytime soon.